.NET provides a simple object-oriented model to access most of the Windows application programming interfaces (APIs). It also provides mechanisms by which you can use the existing native code. In addition, it significantly extends the development platform by providing tools and technologies to develop Internet-based distributed applications. Consider also the top technologies and frameworks most appropriate for.Net programming. This open-source web software framework implements the MVC (model view controller) pattern which helps to create apps separating their different aspects like input logic, UI logic, and business logic while providing some loose coupling between the elements. This framework makes it easier to create HTTP services with a broad reach of clients, including mobile devices and browsers. It makes a perfect platform for building.NET-based RESTful applications. 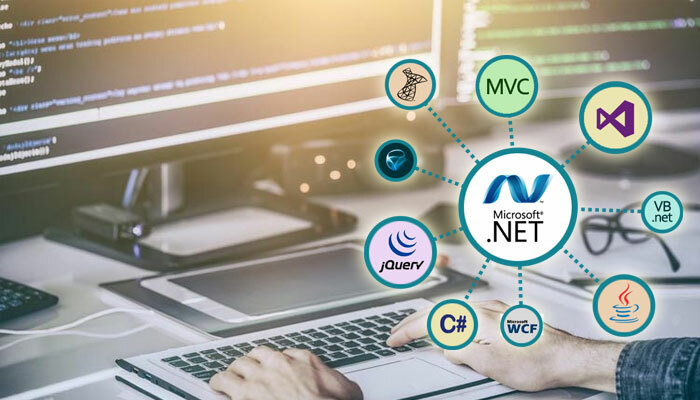 This new ASP.NET library for developers makes real-time web-based functionality development easy. It allows a bi-directional communication between server and client which ensures now servers can instantly push content to the connected clients. SignalR has Web Sockets support and also provides support for some compatible older browsers’ techniques. It includes connection management, authorization and grouping connections APIs. This object-relational mapper enables a.Net development company to handle relational data via domain-specific objects. The framework eliminates the necessity for most data-access code developers usually have to write. All web developers agree that owning the right technologies and tools at hand is crucial for successful building of enterprise web apps no matter which programming language or development platform you choose. Thus, selecting your right tools and framework at the very beginning of your project boosts the chances for successful completion of your web app.